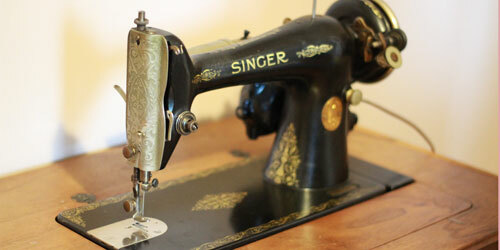 Today I’m going to show you a demonstration of the White Model 642 Sewing Machine. I picked this up from a thrift store a few years ago. The dials on this machine operate a little differently than I was used to, so I thought I would share the settings I used to achieve different stitches in case you were having similar problems. Watch the video below for the full demonstration. 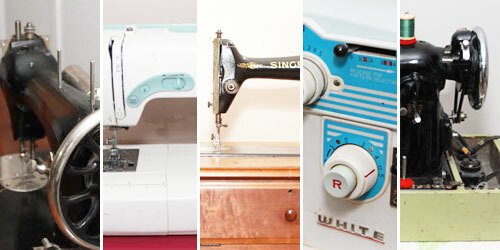 I go over the parts of the White 642 sewing machine, how to thread the machine, and the settings I use for each pattern. I also show you the variation of stitches you can achieve purely by adjusting the stitch length for any of the stitch patterns. I did some digging around the internet but I couldn’t find a copy of the user manual anywhere. It came down to trial and error to figure this machine out. Threading the machine is easy, and follows the same pathways as any standard domestic sewing machine. Thread the needle from left to right. 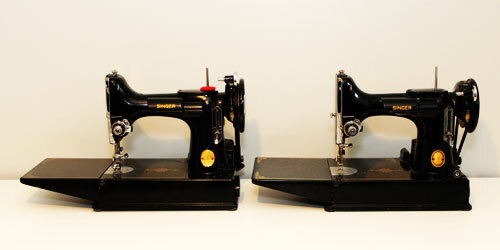 Unlike most sewing machines where you simply move the dial or slider for different stitches, for this machine, you’ll need to first allow your machine to change style. Make sure that your needle is not in your work, or else your needle could bend while the stitch style is changed. Hold down the pattern selection lever and drag it over to the far right. Turn the dial to your desired stitch style. Then hold down and drag the pattern selection lever back to the far left position. Additionally, unlike other machines, you can only adjust the length for the different patterns, not the width. Leave the width at 0 for all stitches unless you are trying to achieve a zigzag stitch. Standard straight stitching or zigzag stitching can be achieved with the one that looks like a black “M”. The width dial allows you to change the width of your zigzag. Set to 0 for a straight stitch. Overall, I wasn’t in love with this machine. I completely free motion quilted this reindeer quilt with it, but I wasn’t a big fan of the adjustment levers. It didn’t feel natural or intuitive to me. I’m sure with the original user manual this machine would have been way more user-friendly. Since I could never find the manual, I ended up reselling this machine to someone who could use it more than me. If you have this sewing machine, I hope this video helped you make a little sense of it. Thanks for watching! Don’t forget to subscribe to my YouTube channel for more sewing and crafting videos. I don’t know if you are in touch with the person you sold this machine to, but I have a manual for it that I can scan and email.